Non super car manufacturers not particularly associated with producing gargantuan power figures rarely decide to let their hair down and offer up a piece of kit capable of splitting the atom, but when they do, the news spreads like wildfire, especially if the creation is worthy of all the hype. Remember when the ‘older persons’ brand of choice, Buick, released the muscle car-eating Grand National version of their Regal? Well, times that image by 10 and you have some idea as to the hype making the rounds surrounding Dodge. Dodge may produce the Viper, and they’ve certainly produced great muscle cars of past, even rekindling their Challenger and Charger with modern Hemi SRT tributes, but to take this platform and give it a supercharged 707-hp is just plain… genius – a Dodge with more horse power than a Lamborghini Aventador! The atomic version of the Dodge Challenger SRT pictured above also comes with a great name, a simple yet perfectly apt title: Hellcat. 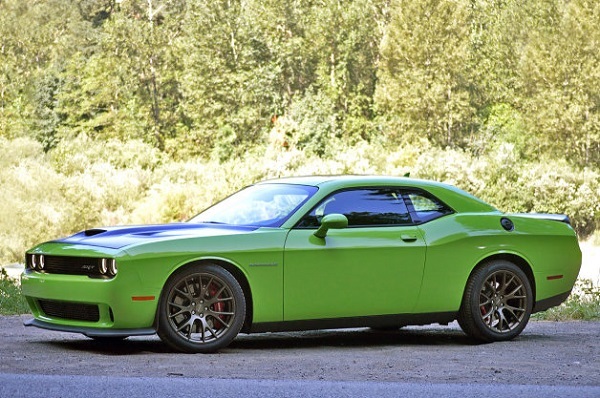 Imagine being able to say: “I own a Hellcat,” safe in the knowledge your 2-tonne feline can hit 62-mph in 3.7 seconds. Even if the person asking is a Ford guy with a Shelby GT 500, you’d trump him by 45 ponies. 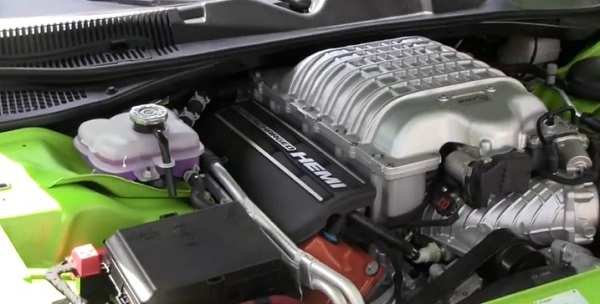 That collection of nuts and bolts pictured above makes up a supercharged 6.2-L Hemi V8 boasting 707-hp and 650 lb·ft of torque. 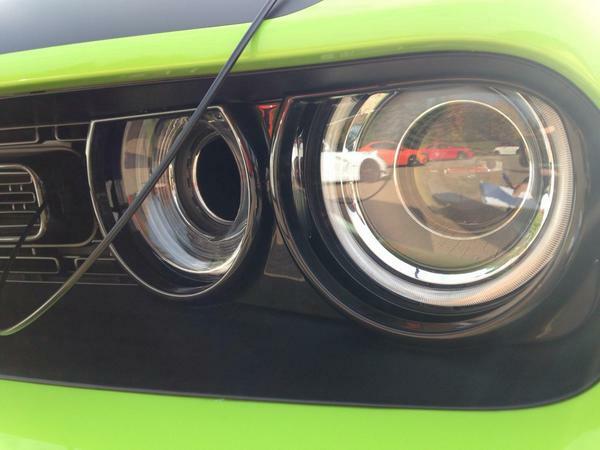 Notice the headlight – or lack of – allowing RAM air induction to produce more torque? I really like that touch; in an age concerned with helping the environment, I love Dodge for creating this car. Was it irony they unleashed this powerhouse in green? 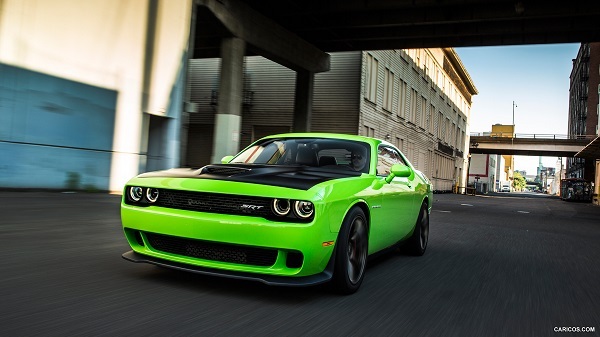 Watch the Hellcat with its claws bared, 707-hp drifting in anger.